Beautiful, original Teresa McGorry designed dress in excellent condition. 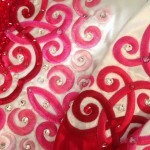 Embroidery is red, pink and pale pink with pink lining underskirt and on shawl. 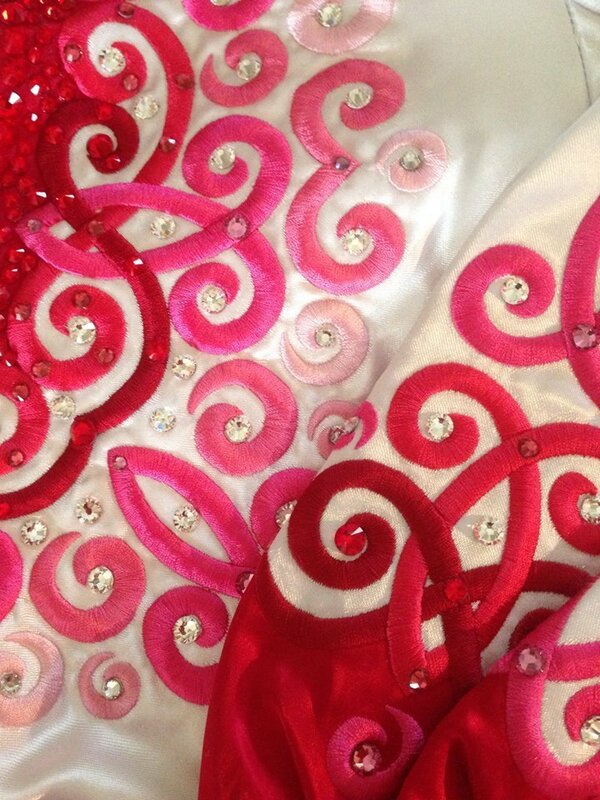 Covered in red, pink and clear Swarovski crystals. Includes matching headband and leotard.